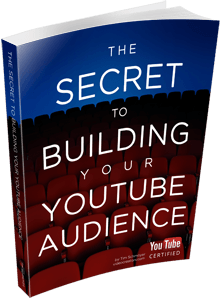 How do you convert passive YouTube viewers into a loyal community of subscribers? Patrick Hanlon has some answers. a conversation with Patrick Hanlon about the 7 factors that convert viewers into a raving fan base. Patrick Hanlon is the author of, "Primal Branding: Create Zealots for your Brand, Your Company, and your Future." We'll take much of his work in that book and discuss it within the context of how we build subscribers and fan bases around our YouTube channels. We love our viewers! We did a fun Google+ Hangout On Air with our Top Fans on YouTube circle and had a blast talking about YouTube, ideas, struggles, issues, Q&A, and more! We discuss a very important and applicable topic: Monetizing your YouTube Channel outside of Adsense. Learn about crowdfunding, memberships, YouTube paid subscription channels, and much, much more! We talked with TubeStart, Patreon, and The Young Turks about how to monetize your YouTube audience outside Adsense. This month's LIVE YouTube Training covered the topic of video and channel optimization. Our guests, Mark Robertson of ReelSEO and Ronnie Bincer, the Hangout Helper, shared a lot of great advice, tips, and information regarding video SEO, channel SEO, and more. Next Week’s LIVE Hangout Guests & Topic! LIVE: Vlogging, YouTube Training, Q&A, and Channel Reviews! Learn strategies to grow your channel as told by those who have made it happen! A few different YouTube vloggers offer advice, training, and ideas for how to be a successful vlogger on YouTube.